The Waterside Kitchen Sink; an Elegant Alternative to the Belfast Sink. 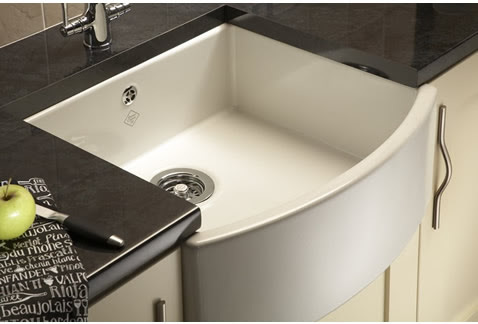 An elegant alternative to the traditional Belfast kitchen sink from Shaws of Darwen is the Waterside sink. 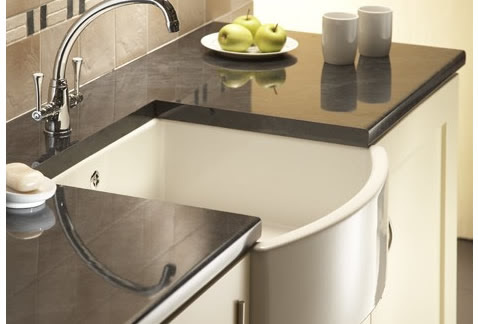 The Waterside sink has a bow fronted single bowl making it a perfect choice for both traditional and modern kitchen designs. 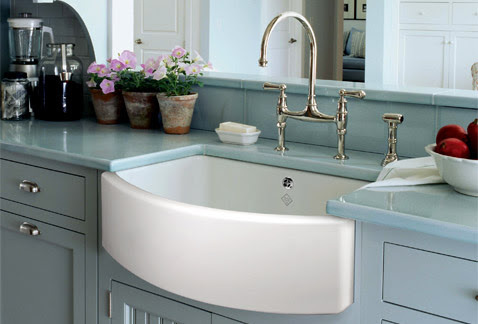 The Waterside sink from Shaws is handcrafted using traditional materials and techniques by our expert artisans in the Lancashire Market town of Darwen. 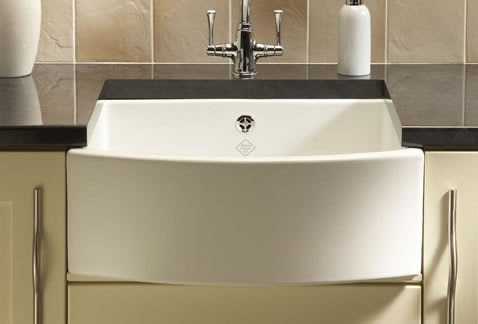 Utilizing the finest fireclay the Waterside sink from Shaws is finished to a high gloss finish and is available in a choice of either white or biscuit coloured glaze. Did you know that it takes 10 years to train a Shaws master Craftsman. That is why every handcrafted ceramic kitchen sink, from Shaws of Darwen, is embossed with the name of the man that created it as well as the Shaws of Darwen logo.